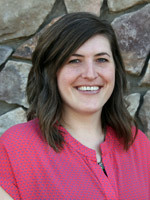 Hello, my name is Stacey Titus and I am a Licensed Clinical Social Worker practicing at Northwest Neurobehavioral Health. I have graduated twice from Boise State University. Once in 2010 with my undergraduate degree in Fine Arts, and again in 2016, when I earned my Master of Social Work degree. I have been volunteering and working within the mental health field since 2007, and bring to my practice a wide range of experience. Since 2007, I have been involved with Touchstone: The Center for Grieving Children and Adolescents. Touchstone is a local bereavement group that has been in the valley since 1989. In 2013 I was promoted to Co-Administrator, and continue to run the program year round. In 2011, I began work as an adult Developmental Therapist with The Arc, Inc. That same year I began work at Warm Springs Counseling Center as a Community-Based Rehabilitation Specialist. In 2013, I was promoted to Co-lead of the program which I ran until 2014. During my graduate program I completed internships with the West Ada School District, and Northwest Neurobehavioral health. In 2016/17 I completed a fellowship through The Utah Regional LEND, or URLEND (Utah Regional Leadership Education in Neurodevelopmental Disabilities). In 2017/18 I completed a secondary year of URLEND, as an AE (Autism Spectrum Disorder Enhancement) trainee. I am currently a member of the National Association of Social Workers, and the Idaho Counseling Association. I also hold a certificate in Children’s Rehabilitation Therapy from the Psychiatric Rehabilitation Association. I believe being a social worker is a privilege, and I love the work I do. I truly believe in the strength of the individual. In my practice, I work along side my clients and their families to educate, to build understanding, and to build skills for success. I just want you to be the best you, you can be! I live in Boise with my husband, and our dog Penny. When I find time away from work, I love spending time with family and friends, riding motorcycles, working out, and really just enjoying this thing called life!